During your vacations, it is enjoyable to have fun and to forget about daily stress. 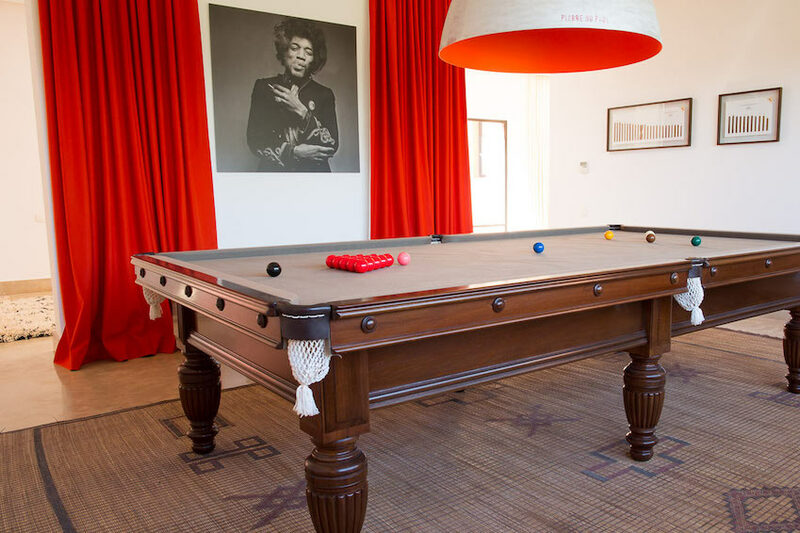 In our luxurious villas, we propose you special rooms dedicated to pleasure and relaxation: the game rooms. The young and the elders will find happiness in these beautiful rooms designed to make you have great moments with family or friends. Moderns or traditionals, they all have a certain charm and nice decorations. A perfect decor for magic moments! In Phuket, with an elegant architecture and a chic design, Paradiso stands as the villa of your vacation in Asia. How can you miss an incredible sea view from an infinity pool with large open spaces on the outside? This villa wonderfully combines exterior and interior with large windows and beautiful ceiling heights. Near the beach and shops, it is in a discreet luxury with splendid masterpieces that we invite you to see. 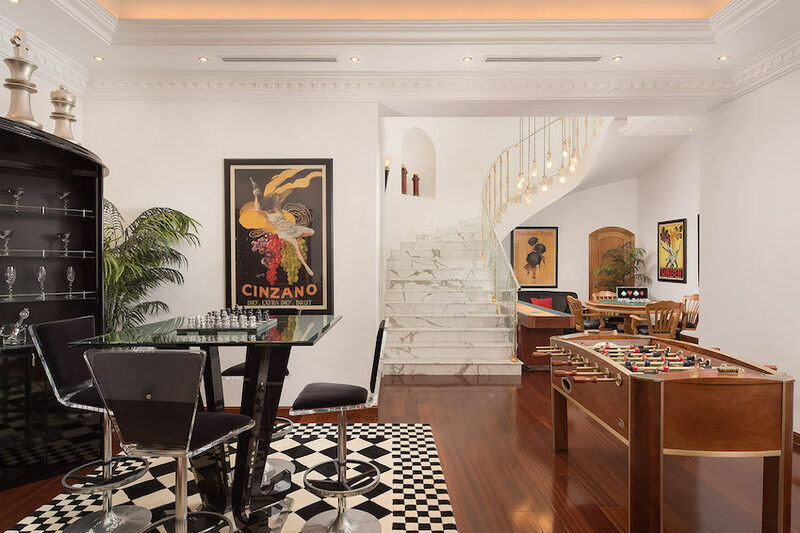 Inside, you will not miss a single thing: a fitness room, a spa and a game room of 50’s retro style with a chess game, a small library and a television. Thanks to its warming and comfortable atmosphere, you will be seduced without a doubt. A unique design and a breathtaking view is the luxury Loft Villa offers you in Koh Samui. Waking up facing such a view while hearing the sound of the waves is a pleasure one must discover. At 160 meters altitude, this opened loft dominates the sea and Chaweng Noi hills with its majestuous infinity pool. And, thanks to its height, staying there on the summer is particularly recommended. In the villa, the decoration made of vintage design furnitures from Asia and Europe combines the charm of a traditional loft and splashes of colour. 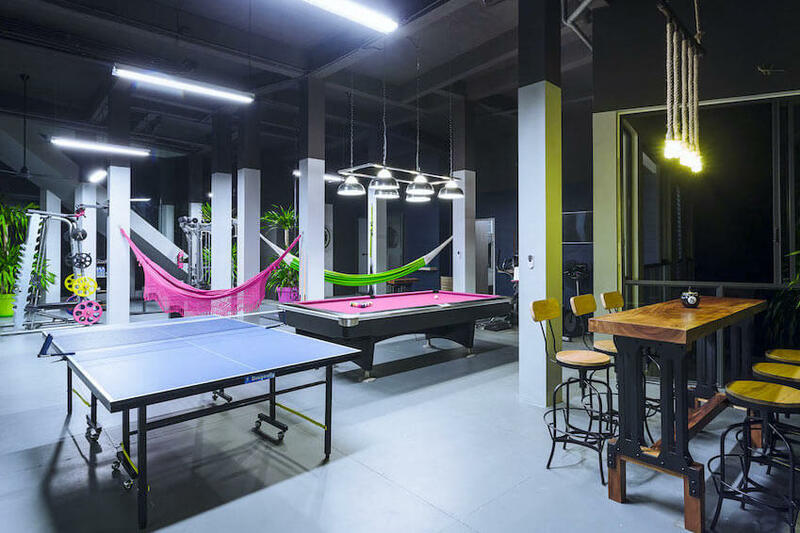 The singularity of the property also lies in a big gym and ertaintement space with fitness team, a billiard and a table-tennis table. Moreover, a professional and friendly team is there for you to make you enjoy a great stay. In a delightful mountainous style, Black Eagle is a charming chalet with a wooden interior. Facing south, it offers you breathtaking panoramic views on the famous Mont Blanc by the slopes. Inside, a relaxing space has been designed with a sauna to relax you and keep yourself in shape with a fitness room. And, what is more charming than an exterior jacuzzi to enjoy a warm bath and relaxing in winter? 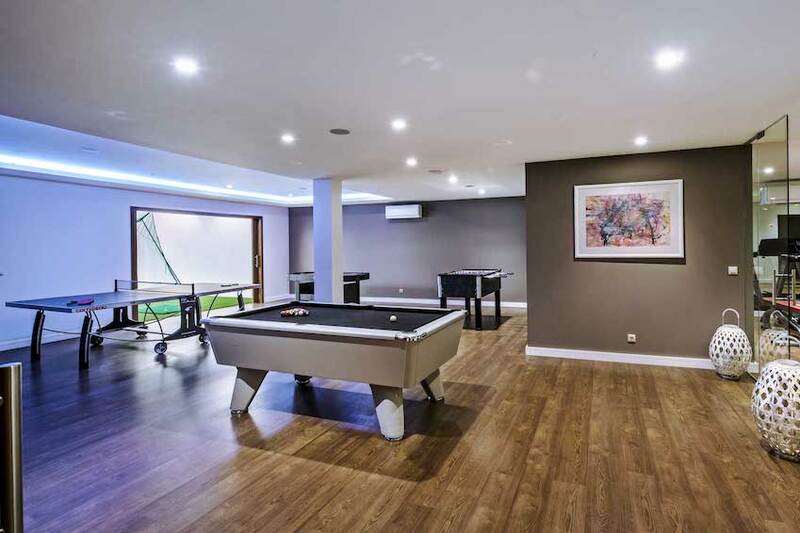 And if you leave with family or friends, you will be able to have fun in the recreation room that video game lovers will love without a doubt. Spacious and comfortable, Ours Polaire Chalet combines modern and traditional to create a perfect atmosphère for a vacation. By the slopes, you will enjoy all benefits of a luxurious chalet: an inside pool, a gym, a home cinema, a massage room and a hammam. Outside, you will fall under the spell of a the jacuzzi and the terrace set with couches and heat lamps to enjoy a sublime view on the mountains in a white decor. 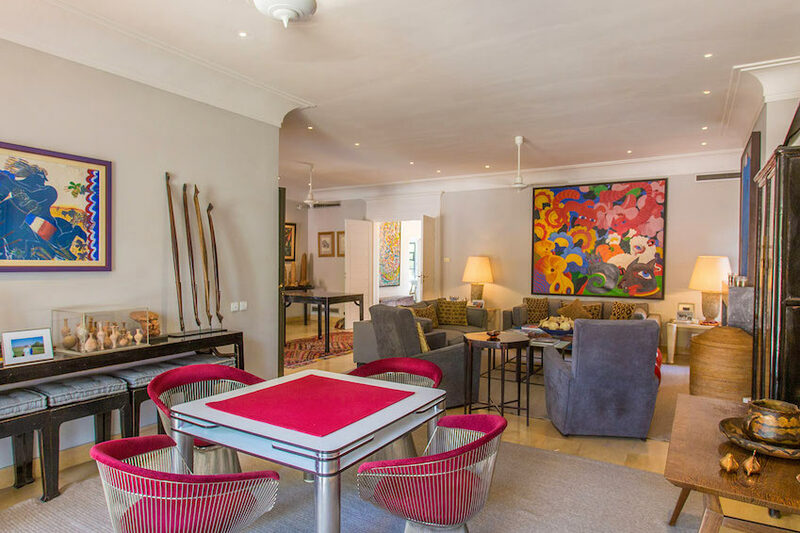 In the Majorelle neighborhood in Marrakesh and very close to Yves Saint Laurent museum and tourist places such as Jemaa el-Fna square, Excelsior is a charming villa of careful decoration. The outside of the villa is a true haven of peace with its great heated pool and its luxurious garden. The inside is faithful to its garden: coloured in typical tones of the ochre city. 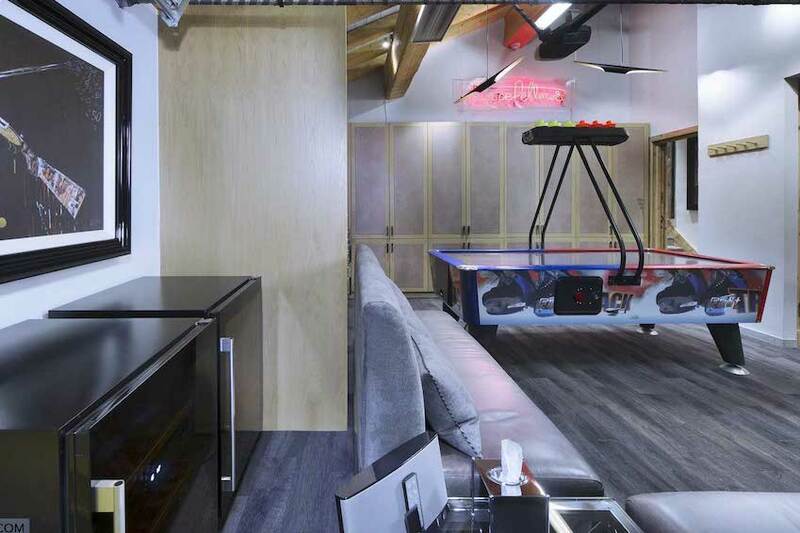 In line with the living room, the game room allows you to have a break and enjoy entertainment in a pleasant environment. Add to it a staff house at your disposal to make you taste a delightful marocain and european cuisine. 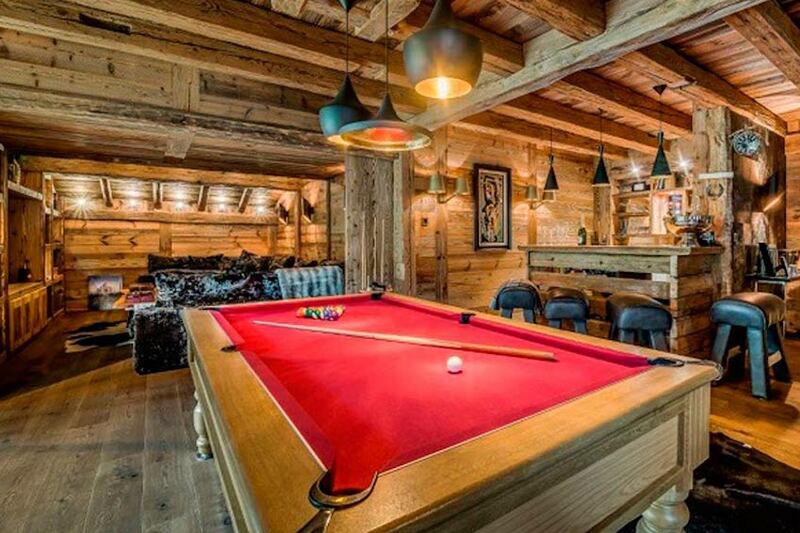 In Courchevel 1650, Adleen chalet is a treasure of the mountains. Contemporary and equipped, it is the incarnation of luxury in all its glory. This sublime property offers you to have a stay in the heart of large sites in a perfect comfort and unbeatable services: an indoor pool, a hammam, a jacuzzi and a gym. Between entertainment, sport and relaxation, it reunites for you all benefits you wish for winter vacations. Located in a slope, put on your skis and let yourself slide on the snowy slopes. 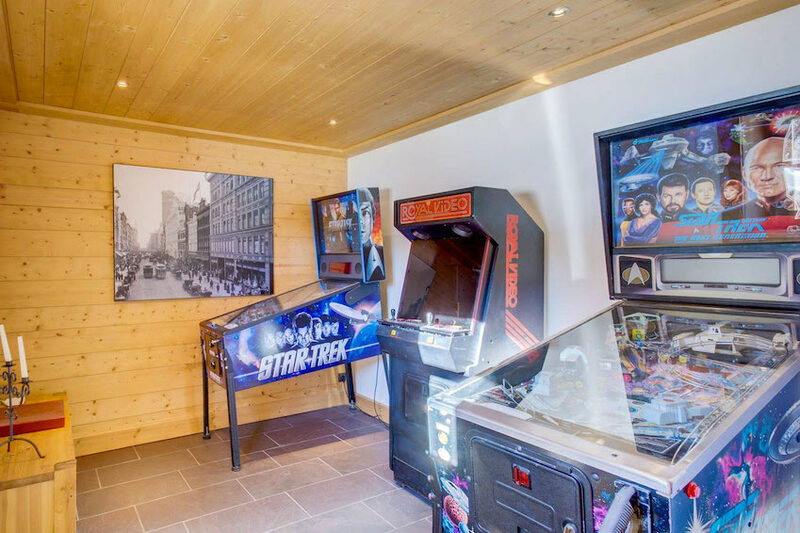 And, back to the chalet after a full day, there is a room in the house which will certainly seduce the younger ones: a game room. 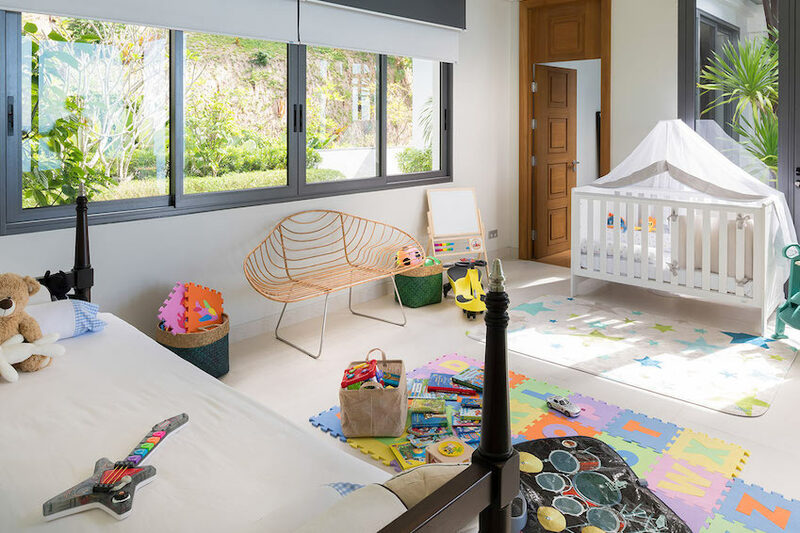 Colourful and spacious, it will be the playground of the younger ones of the family. City of art, Ubud is an indonesian paradise to discover. With its traditions and paddy fields, it seduces all travellers. So why not go to Indonesia to explore it? With San Villa, have a unique stay in the heart of Bali in a property made by the photographer Rio Helmi. With its private pool and glorious gardens with incredible pieces of arts, it is a modern villa with traditional particularities. Up to 14 persons, enjoy the services of a careful house staff to guide you on activities and places to visit. 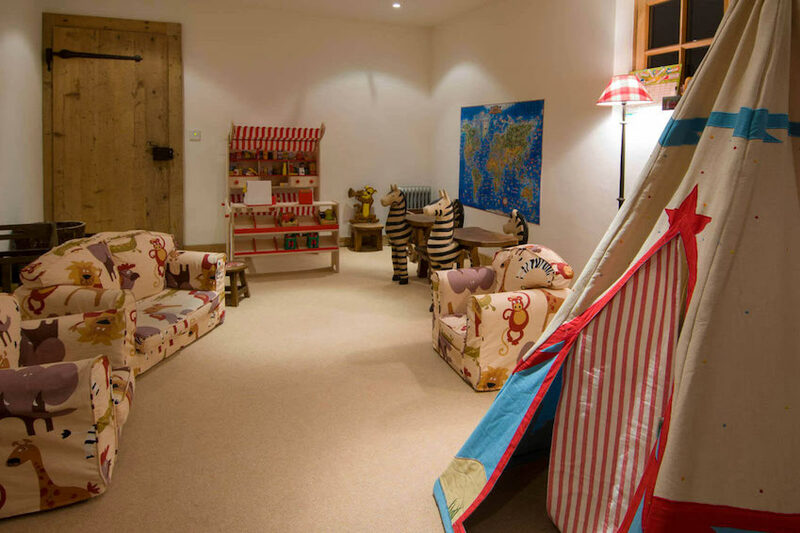 And to entertain the younger ones, a room with games and toys is available. On the heights of Verbier, nested in an exclusive enclave, Eiger Chalet is an alpine property which combines modern comfort and authentic atmosphere. With a view over the valley and on the mountains, stay in a welcoming chalet for winter sports. Convivial thanks to its wooden details, stone chimney and thick furs on beds and couches. Back from ski, relax in one of the living room couches and enjoy the spectacular view from the large windows. And, what is better than a relaxation area to relieve your muscles and relax after an active day. Benefit from the private spa with hammam, a jacuzzi and a massage room. The younger ones will be able to play in the game room or watch an animated movie in the beautiful home cinema. 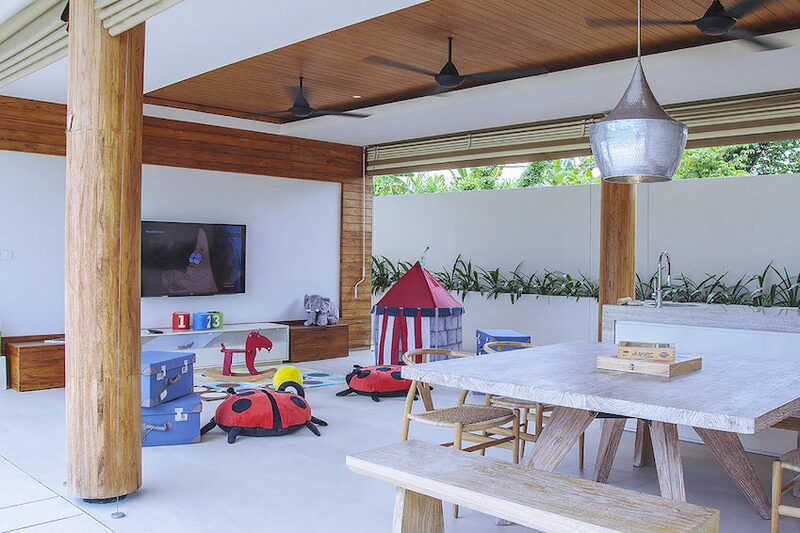 In Canggu area in Bali, Iman Villa is ideal for families or vacations with friends. Thanks to its beautiful surfaces, it can host you for special events, birthdays or family reunions. The house’s structure is contemporary in the heart of a peaceful village with pleasant exterior spaces where you will find a beautiful swimming pool and large terraces. On the roof, you have the opportunity to admire impressive sunsets from the jacuzzi. On the spot, a private chef will offer you gastronomic dishes to make your taste buds travel with you. Around, you will get the chance to discover paddy fields’ landscapes and Canggu beaches a few kilometers away. Up to 10 persons, seize your chance and head off to Indonesia. Facing the sea, a team of 7 persons including a private chef is waiting for you in Sava Beach Villas Tievoli for a dream stay. At your disposal, they will provide you a tailor-made journey to satisfy all your needs. In this relaxing tropical shelter, you will benefit from all high-range services: an infinity pool, a billiard room, a spa, a hammam and a game room. Thanks to its sumptuous outdoor spaces, you can fully enjoy the pleasant temperatures and beautiful views on Natai beach. Kayaks and paddle are also provided at your disposal. Above Nai Thon beach, Malaiwana Villa R and its pool dominate the sea with an incredible view on white sand beaches and on horizon. For tropical vacations, benefit from high-range services in a property of modern design with house staff. Ready to cook delicious meals, the chef is at your service and will know how to adapt according to your requirements and taste while making you discover thailandese gastronomy. On the terrace or in the dining room, enjoy a delightful local meal. 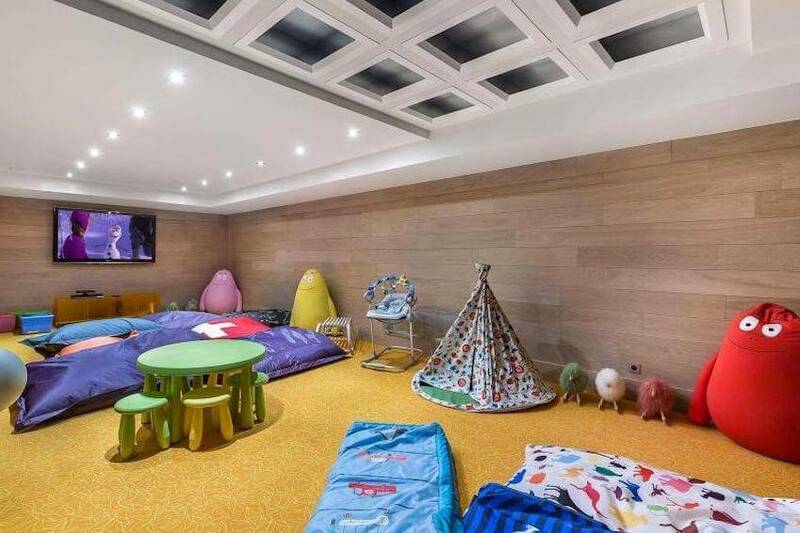 Furthermore, securised for children, the villa allows them to play in a room dedicated for them: the game room, where they will be able to imagine great games in this bright room equipped with loads of toys. On Palm Island, Contenta villa has a spanish colonial site on the bay of Biscayne close to South Beach. With a 5 stars service, it is the dream villa for a vacation in Miami. This huge property represents luxury and comfort. 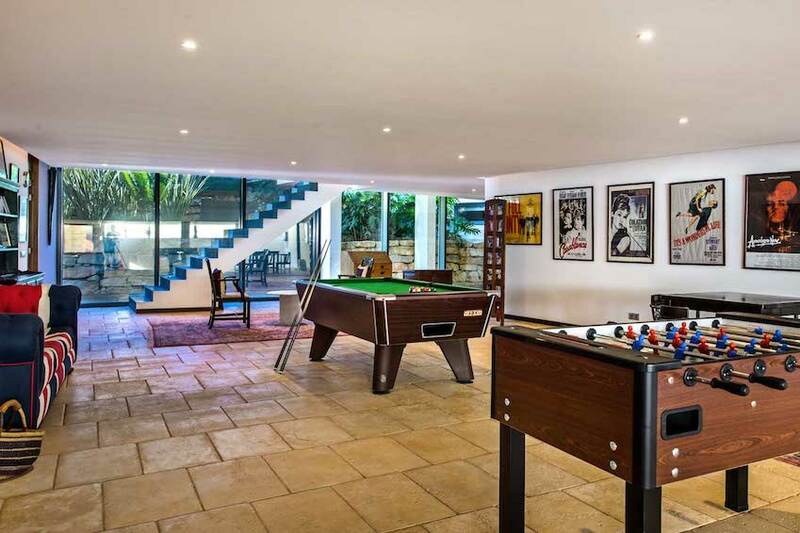 Inside, furnitures and decoration were subtly chosen, especially in the beautiful billiard room opened on the home cinema. A few minutes away from the beach, benefit from a very large pool, a waterfall and a beach-volley court. In the exclusive neighborhood of Pinhal Velho in Vilamoura, Velho Villa proposes you a contemporary and elegant approach of life in Algarve. With a spacious and quiet environment, the property is modern and luxurious and offers high-range services. Up to 12 persons, enjoy the ideal vacation in Portugal. With bright open spaces, you will benefit from the shimmering sun. And thanks to its location, you will only be 5min away from Marina beach and golf courts. Everything to please farniente and golf enthusiasts! And, very appreciated rooms, the home cinema and the game room will allow you to get entertain yourself and have good times. Near the beach, Ainoma Villa offers you peace and charm in the heart of the countryside. In a large private parc of Costa Brava with a tennis court and a pool, this exceptional house is made of a traditional decoration with furnitures of quality and mural paintings. Interiors are intimate and authentic and give the feeling of feeling at home. 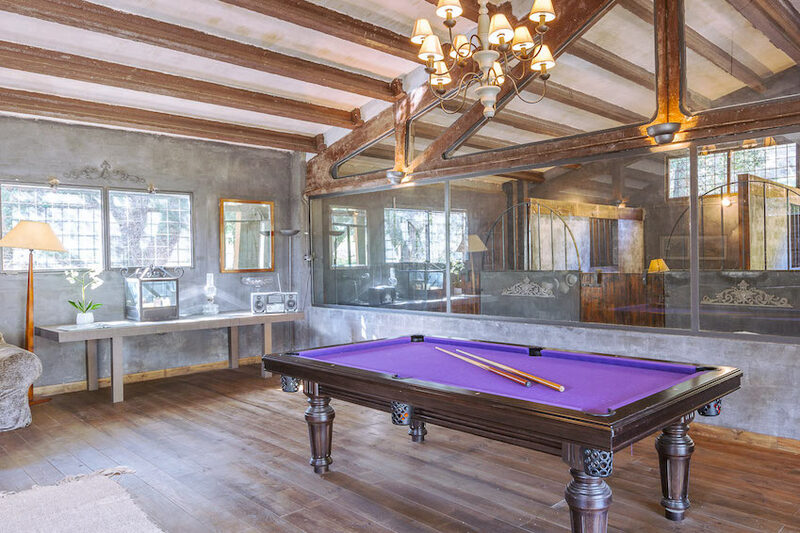 The specificity of this property is the playroom which takes place in former renovated stables with a billiard. 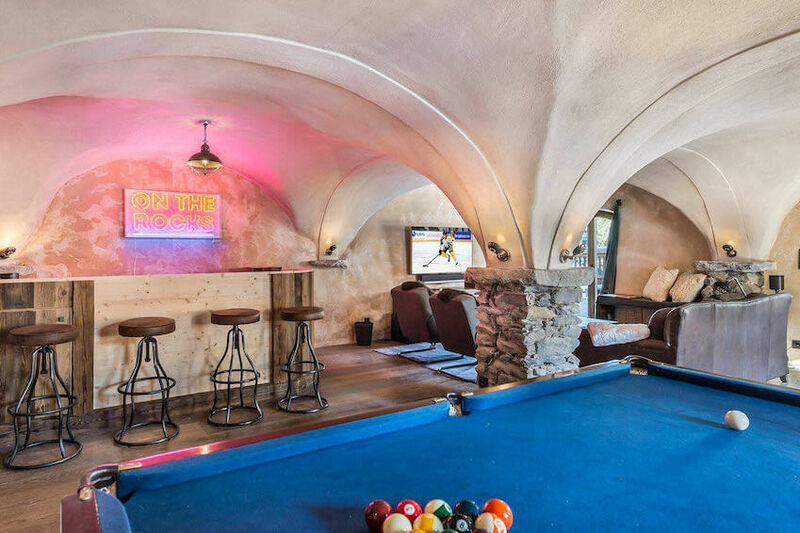 A very unusual environment for a billiard game! In the Marrakesh palm grove, El Zagilda can welcome more than one family or a group of friends up to 16 persons for vacations in Morocco. Surrounded by a large parc with centenary olive trees, it offers you excellent services with house staff. The decoration has been chosen in regards of typical Berber culture with a particular attention to details. The place thus creates an harmonious and convivial atmosphere in which it is pleasant to stay. 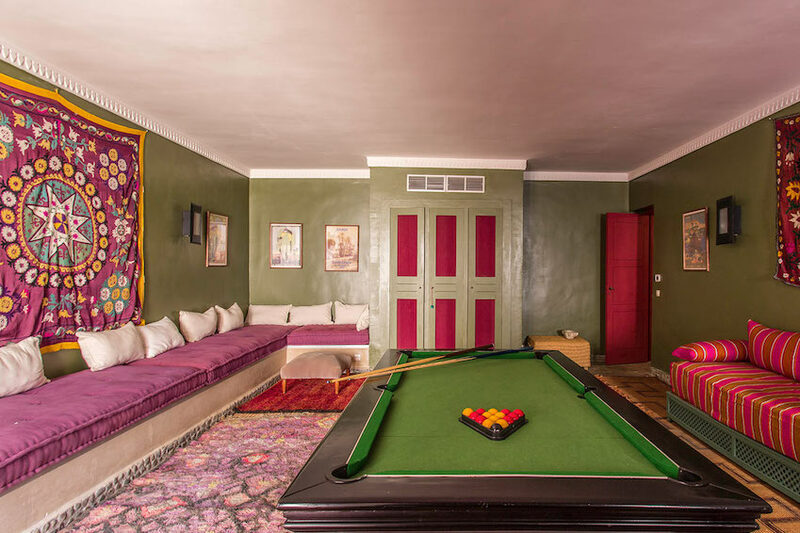 Like most of others villas in Marrakesh, it owns a beautiful private pool, a hammam and a massage room to benefit from marocain beauty rituals. Outside the villa, private terraces of the rooms provide great views on the Atlas. Near the slopes, Votylio is a former barn renovated with taste in Raffort village. This typical savoyard village is a restful place that is ideal for family vacations or for a stay between friends in Meribel. From the chalet, enjoy a breathtaking view on Dent de Burgin and a modern and refined interior design. Inside this property which nevertheless keeps its authentic charm, rooms have been thought to offer you spaces made for relaxation. More specifically, in addition to the jacuzzi on terrace, a large living room has been set with a TV, game room and billiard. All to spend a delightful stay! With exceptional volumes, Aza is a villa which reflects perfectly Morocco and its simple Berber architecture and its specific colours. In an ultimate comfort, stay with up to 18 persons in this luxurious contemporary house which offers you unforgettable vacations with its tennis court, its english billiard, its traditional hammam and its spa. In the heart of the villa, the decoration is refined with colourful rooms in different tones. During your stay, enjoy the services of a bilingual house staff of quality to satisfy your needs. There is among others a unique experience you should definitely try: the discovery of a berber lamb specialty served in a traditional tent. You cannot miss it! The views over the snowy hills from the heated pool is also an impressive decor. Near the beaches in an intimate setting, Formosa is ideal for vacation in Portugal. In the edge of Quinta do Lago, with its golf courts and its golden sand beaches, the house testifies of an authentic mediterranean architecture with its white walls and columns. The only thing you have to do is to rest and enjoy the luxurious environment. In the private pool or in the balcony view on the garden, have a sunbath. 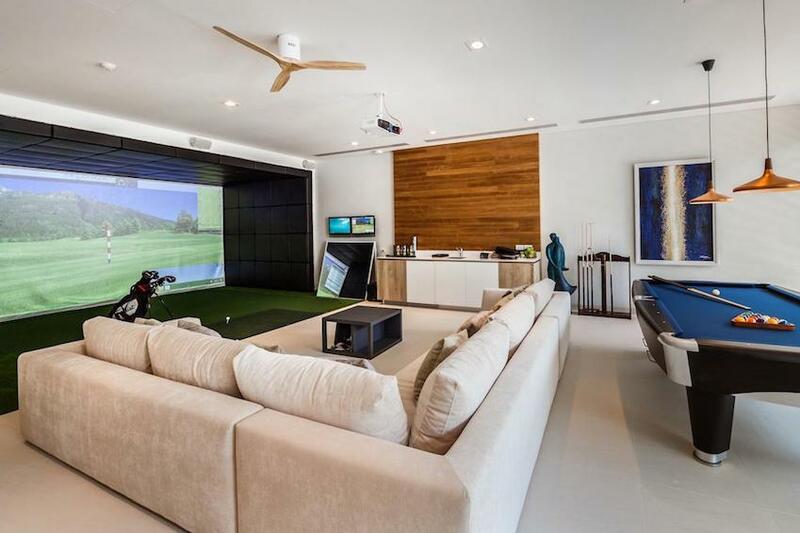 Within the property, gym, golf, home cinema and games will entertain you without a doubt. Looking for a location for winter sports? Don’t hesitate any longer, we’ve got what you need! Chalet Baroti offers you vacations directly by the slopes. 200 meters away from city center, this sumptuous property represents pure elegance with modern and design furnitures. Among others, the chalet has got some gold nuggets: a billiard room, a hammam, a sauna, a gym, an indoor pool and a massage room. Everything for the perfect stay! Outside, winter days with low temperature are comforted by a warm jacuzzi. Would you like a glass of champagne with it? 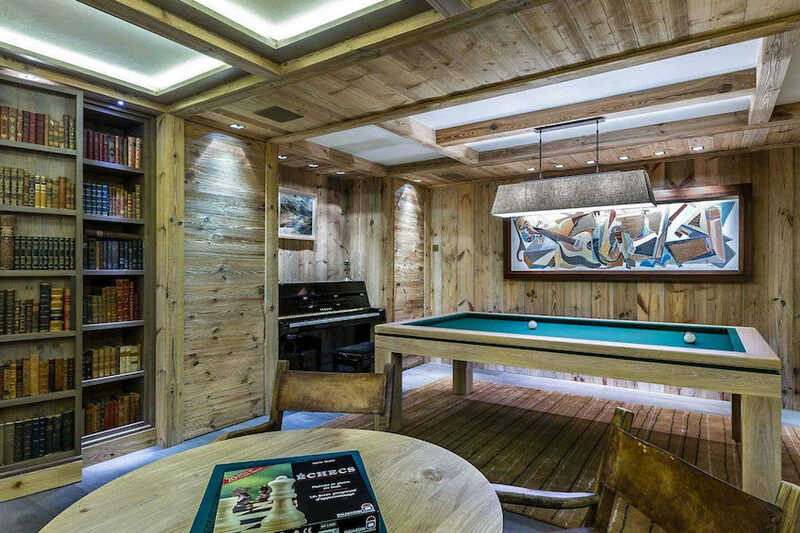 In the familial station of Morzine, a chalet combines alpine style and luxurious design: Chalet Jejalp! If you’re willing to go to the mountains for your vacations, it is ideal. The living rooms are spatious and bright and own large terraces from where the view over mountains are absolutely amazing. Inside, the wine cellar in glass on two floors gives to the place a unique charm. During your stay, you will find anything to please both the young and their elders: a home cinema, a billiard room and a gym. And how not to mention a major space: the spa area with jacuzzi and sauna with a panoramic view on the valley. The house staff will also be there to make your stay even greater. Simply luxurious: Villa Thaia. As one of the most beautiful villas of our catalogue, it guarantees you to have an exceptional stay. With direct access to the beach, it offers a breathtaking view on the bay of Phag Na and on the blue waters of Andaman. In short, a delight! In the exclusive estate of Cape Yamu, this fabulous property reunites all you need for a dream vacation: jacuzzis, private pools, a fitness room well equipped, a comfortable home cinema, a basketball court, a green of golf and a tennis court. Could you dream of better? When the night falls, the sophisticated style of the villa is highlighted by the sumptuous luminaires which bright up the property to create a warming atmosphere. In Andalusia, discover the exceptional Villa Sombrera with its distinctly mediterranean feel . Overlooking the sea, it has superb exterior spaces and a magnificent garden with heated pool. What seduces is the color of its walls in the heart of a luxurious garden and an outdoor cinema screen. Charming isn’t it? In the heart of the villa, a traditional patio is the haven of freshness in the house, with great green plants and a waterfall made in mosaics. 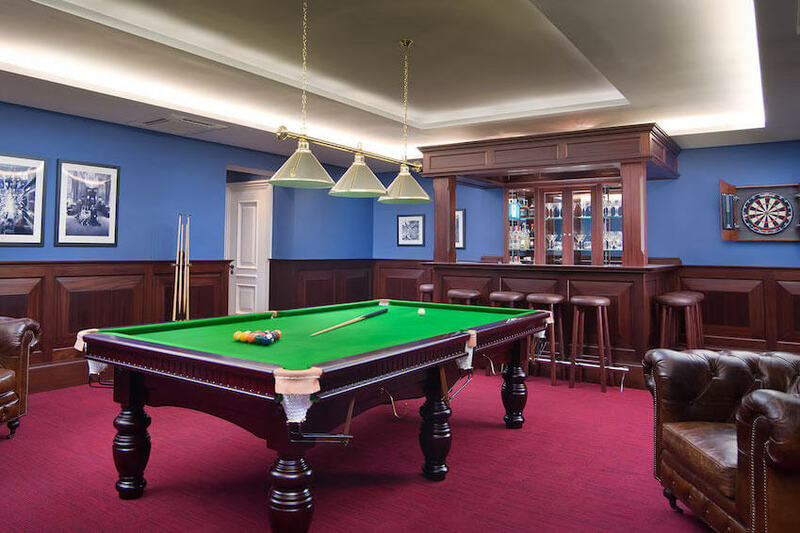 To have fun, benefit from a sport room and a billiard room with a bar. White Marbella, an exceptional villa which will make your dreams come true. In the prestigious complex of La Zagaleta which offers an ultimate intimacy to its guests, this incredible property perfectly reflects the spanish colonial architecture. From all the rooms, benefit from an incredible view on Marbella’s hills and the mediterranean sea. As a luxurious property, it offers an excellent service with house staff and beautiful interior spaces. The decoration is very elegant with high-range design furnitures and pieces of art. 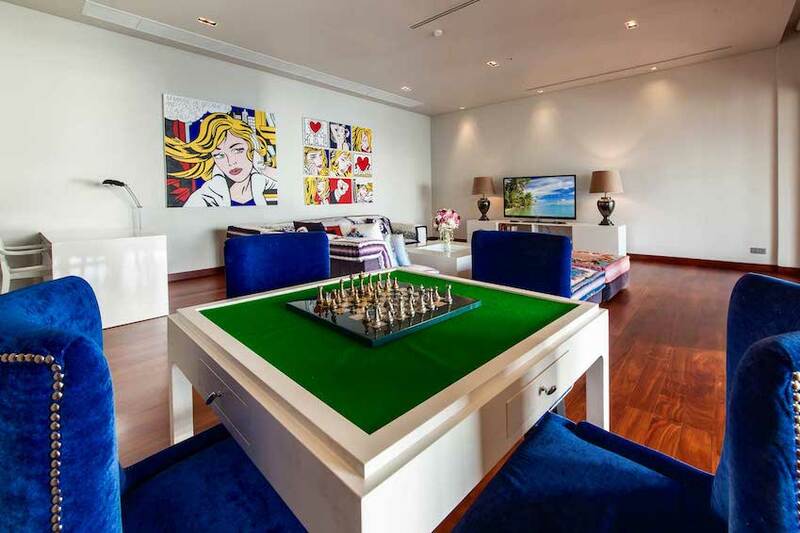 In the game room, billiard, baby-foot, chess game and TV living room are there to entertain you. In the glorious garden, you will find a clubhouse, golf courts, a heliport, a private pool and many more. In Quinta do Lago, enjoy the sun of Algarve in the remarkable Villa Rockstar. Right next to the gold court of San Lorenzo and near the beach, il allows you to escape in a quiet place with high standing services. In the jacuzzi or in the pool, admire the garden perfectly maintained with several lounge areas. 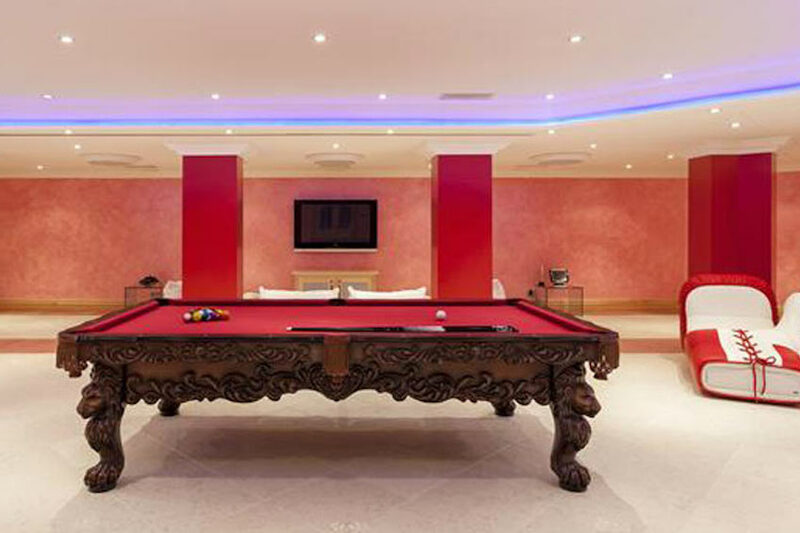 And, in one of the rooms of the house, a majestuous furniture stands in the center: a beautiful billiard. In the South of Portugal, head off to one of the most famous region of Spain with unique landscapes and sublim beaches. In an ultra luxurious comfort, Villa Gran Hacienda Florentina is a marvel of architecture with high standing services. 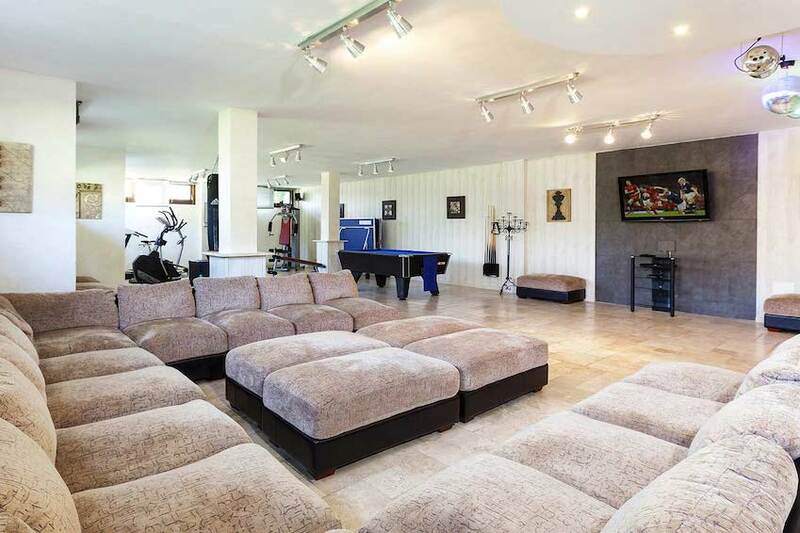 This property of Marbella has everything you like: a gym with a fitness equipment and a professional home cinema with over 200 movies at your disposal. A few minutes away from the beach, it is a modern villa we are offering you. 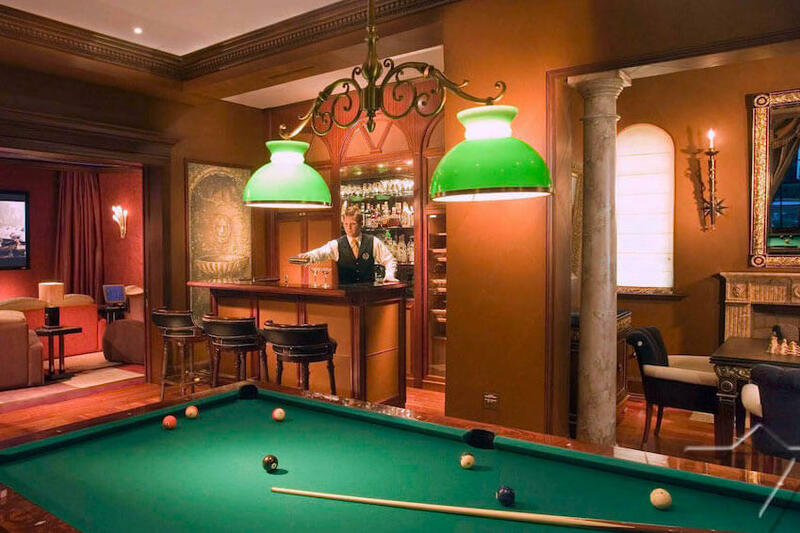 In the gameroom, you will find a billiard table, a table tennis table and a nightclub with a bar. Outside, the pool is lined with a tropical garden of exotic flowers and offers a wonderful point of view on a luxurious landscape.